Home News The Toronto New Wave: Where Are They Now? The Toronto New Wave: Where Are They Now? 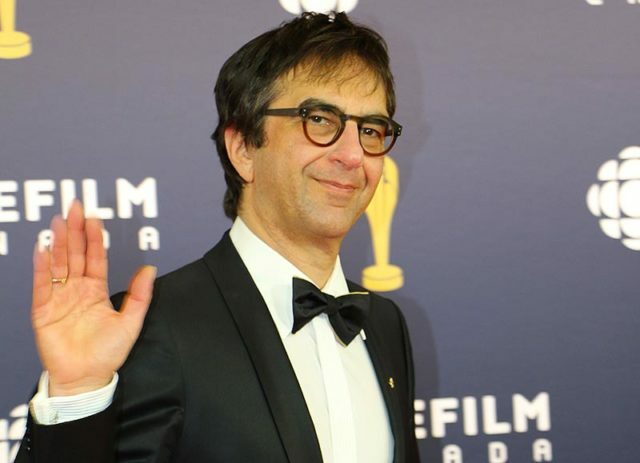 Atom Egoyan on the Red Carpet at the 2017 Canadian Screen Awards. Photo © 2017 by R.A.Lucas. Used with permission. (October 10, 2017 – Toronto, ON) Looking over the careers of the major filmmakers who emerged in the 1980s, the results present a mixed bag. Atom Egoyan has enjoyed the highest profile, with a string critical successes, and along with David Cronenberg, is probably the best known English-Canadian filmmaker today. His name commands well-earned respect at film festivals and art houses worldwide. He has received an Oscar nomination for best director (for The Sweet Hereafter), something that neither Cronenberg nor Denys Arcand can claim. In fact, Egoyan is the only Canadian director yet to be nominated best director for a Canadian film at the Oscars®. This list does not include Canadian-born directors of American films, such as Norman Jewison and James Cameron, and although Arcand did win for The Barbarian Invasions in 2004, it was for the best foreign-language film, which technically goes to the producer and not the director. 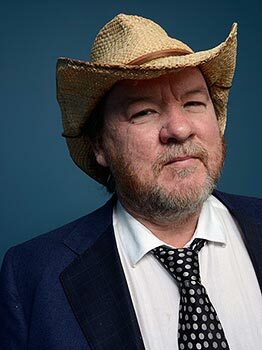 Director Bruce McDonald of ‘The Husband’ poses at the Guess Portrait Studio during 2013 Toronto International Film Festival on September 8, 2013 in Toronto, Canada. the best films to come out of Canada in recent years. He was genuinely impressed by Bruce’s cinematic skills; high praise indeed coming from a very bright guy who taught film studies for 10 years. Yet Bruce does not have Atom’s diplomatic talent, and failed to move into the worldwide art-house circuit when he ran up against producer Robert Lantos on his make-it-or-break-it production of Claire’s Hat, which became Picture Claire (2001) when it went straight to video. Bruce retaliated with a one-time screening at TIFF of a documentary, Claire’s Hat: The Unmaking of a Film (2002), which put the blame squarely on Lantos for the failure of the film. Today Bruce continues to raise money from various sources to make his idiosyncratic low-budget features. He’s always guaranteed a spot at TIFF, and his hometown base remains strong even as his deserving big-time career seems to have eluded him. Jeremy Podeswa, however, has found his niche in big budget, high profile American TV series, and by some measure is the most successful of the group. 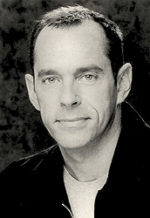 His modest debut, Eclipse, was followed by the slightly more successful – and even more pretentious – Five Senses (1999), but by choice or chance he turned to television. 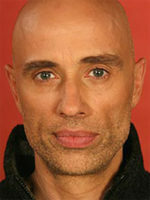 Since Five Senses he has directed only one feature, Fugitive Pieces, in 2007. His television work includes some of the biggest hits in the history of the medium, including six episodes of The Game of Thrones. Other series include Six Feet Under, The Pacific, The Tudors, The Borgias, American Horror Story, The Walking Dead and Boardwalk Empire. To date, Podeswa has three Primetime Emmy nominations under his belt for best director of a drama series. Patricia Rozema’s filmmaking career has been up and down, with some of her best work done outside of the country. She started strong with I Heard the Mermaids Singing, fell down with the poorly received, obscure White Room, and recovered nicely with her lesbian love story, When Night Is Falling. Her reinterpretation of Jane Austen’s Mansfield Park (1999) stands as her best directorial work to date (it was co-produced by Americans in England) and her screenplay for the movie based on the documentary The Grey Gardens (2009, made for American TV) was well received by the critics and earned her a Primetime Emmy nomination. Her children’s film, Kit Kittredge: American Girl (2008), is a workmanlike piece of advertising for the American Girl line of dolls, but her most recent foray to art-house cinema, Into the Forest (2015), seems to have come and gone with mixed reviews. With her family’s wealth and relaxed attitude to pursing a filmmaking career, Bruce McDonald once ruefully told me he wished he had her life. It would be much easier than grinding out serial television on a daily basis to finance his low-budget features. While Ron Mann is not the oldest member of this group, that distinction goes to Peter Mettler, he was a precocious teenager with several 16mm shorts on his résumé before he made his first feature documentary, Listen to the Sound, at 22 in 1981, several years before Atom Egoyan knew which end of the camera was up. (Atom was a theatre nerd in high school before turning to film during his time at U. of T.) Consequently, he never saw himself within the same grouping as McDonald, Mettler and Rozema et al. He was “older” with more experience than these upstart newcomers. However, he does fit nicely (whether he likes it or not) with his fresh, meticulous, non-NFB approach to documentary filmmaking, and in retrospect Comic Book Confidential remains his finest effort. Fiercely independent, he continues to produce and mentor a new generation of documentary filmmakers. Photo of Don McKellar at the 2015 Canadian Screen Awards © 2015 by Ralph Lucas. he was held in an Egyptian prison for several weeks, arrested during the political unrest in that country while on his way to a humanitarian mission in Gaza City. 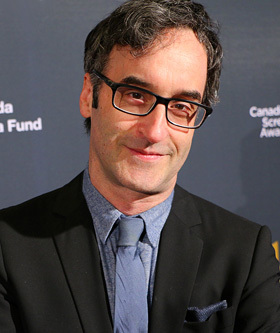 Don McKellar is the youngest member of the group, and given his birth date in 1963, he probably qualifies as an early Gen-Xer (roughly those born in the 1960s and 70s) as opposed to a Baby Boomer. But as with Mann, McKellar was a precocious and very talented youngster with his own theatre troupe in his early 20s. It’s his association with Bruce McDonald, especially those first two glorious rock ‘n’ roll road movies, Roadkill and Highway 61, that make him a bona fide member of the group. The multi-talented McKellar has had since gone on to carve out one of the highest profiles of any Canadian actor/director/writer/producer working today. Personally, I think his greatest strength is in his writing, and he is only one of a few Canadians to win a Tony Award, for co-writing the Broadway hit The Drowsy Chaperone. Master cinematographer and director Peter Mettler was never quite comfortable with directing conventional features. He was the “Zen master” of the group, lending his calm and uncanny ability behind the camera to any number of shorts and features by others. Personally shy and not one to court publicity, Mettler moved to Switzerland in the late 1990s (the home of his parents) and joined an artistic co-op. His last entry is 2014’s Broken Land. Also see: Fade to Black: Bruce McDonald’s Rock ‘n Roll Road Trilogy.